Possible Uses of Pamelor: This medicine is a tricyclic antidepressant used to treat depression. It may also be used to treat chronic pain and other conditions as determined by your doctor. 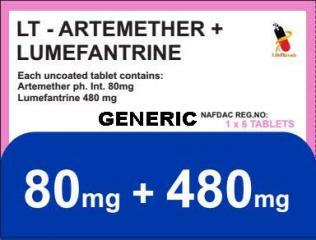 Before using Pamelor: WARNING: ANTIDEPRESSANT MEDICINES MAY INCREASE THE RISK OF SUICIDAL THOUGHTS AND BEHAVIORS IN CHILDREN AND ADOLESCENTS, AND POSSIBLY ADULTS, WHO HAVE SEVERE DEPRESSION OR CERTAIN OTHER MENTAL OR MOOD DISORDERS. Children, adolescents, and adults who take this medicine should be monitored daily for any worsening of their condition, thoughts of hurting themselves, or any other sudden or unusual changes in mood or behavior, especially during the first few months after starting this medicine and after any change in the dose of this medicine. If any of these serious side effects occur, contact the doctor immediately. Some medicines or medical conditions may interact with this medicine. INFORM YOUR DOCTOR OR PHARMACIST of all prescription and over-the-counter medicine that you are taking. DO NOT TAKE THIS MEDICINE if you are also taking astemizole, cisapride, dofetilide, terfenadine, or a monoamine oxidase inhibitor (MAOI). ADDITIONAL MONITORING OF YOUR DOSE OR CONDITION may be needed if you are taking carbamazepine, cimetidine, dicumarol, clonidine, fluoxetine, fluconazole, fluvoxamine, guanadrel, guanethidine, guanfacine, a macrolide antibiotic, mibefradil, paroxetine, sertraline, terbinafine, tramadol, a sympathomimetic, or a phenothiazine. DO NOT START OR STOP any medicine without doctor or pharmacist approval. Inform your doctor of any other medical conditions including any mental or mood disorders (such as bipolar disorder), allergies, pregnancy, or breast-feeding. USE OF THIS MEDICINE IS NOT RECOMMENDED if you have a history of glaucoma or increased pressure in the eye, enlarged prostate, problems urinating (urinary retention), or heart conditions. 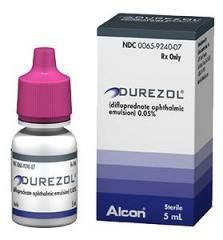 ADDITIONAL MONITORING OF YOUR DOSE OR CONDITION may be needed if you have a history of seizures or porphyria. Contact your doctor or pharmacist if you have any questions or concerns about using this medicine. How to take Pamelor: Follow the directions for using this medicine provided by your doctor. This medicine comes with a medication guide. Read it carefully. Ask your doctor, nurse, or pharmacist any questions that you may have about this medicine.STORE THIS MEDICINE at room temperature, away from heat and light. CONTINUE TO TAKE THIS MEDICINE even if you feel better. Do not miss any doses. IF YOU MISS A DOSE OF THIS MEDICINE, take it as soon as possible. If it is almost time for your next dose, skip the missed dose and go back to your regular dosing schedule. Do not take 2 doses at once. If you take 1 dose daily at bedtime, do not take missed dose the next morning. Precautions When Using Pamelor: AFTER YOU START USING THIS MEDICINE, several weeks may pass before you feel the full benefit. DO NOT STOP TAKING THIS MEDICINE without checking with your doctor. KEEP ALL DOCTOR AND LABORATORY APPOINTMENTS while you are using this medicine. ADDITIONAL MONITORING OF YOUR CONDITION is recommended at the start of treatment with this medicine and whenever a change to your dose is made. If you experience anxiety, agitation, panic attacks, difficulty sleeping, irritability, hostility, impulsive feelings, severe restlessness, or worsening of depression contact your doctor as soon as possible. These may be signs that your condition is worsening or that your treatment with this medicine should be evaluated. If you are a parent or caregiver of a patient that is taking this medicine, it is important for you to watch for these symptoms daily. Contact the doctor immediately if any of these symptoms occur. Contact your doctor for more information. BEFORE YOU HAVE ANY MEDICAL OR DENTAL TREATMENTS, EMERGENCY CARE, OR SURGERY, tell the doctor or dentist that you are using this medicine. DO NOT DRIVE, OPERATE MACHINERY, OR DO ANYTHING ELSE THAT COULD BE DANGEROUS until you know how you react to this medicine. Using this medicine alone, with other medicines, or with alcohol may lessen your ability to drive or to perform other potentially dangerous tasks. LIMIT YOUR ALCOHOL CONSUMPTION while you are taking this medicine. This medicine will add to the effects of alcohol and other depressants. Ask your pharmacist if you have questions about which medicines are depressants. ALCOHOL, HOT WEATHER, EXERCISE, AND FEVER can increase dizziness. To prevent dizziness or fainting, sit up or stand slowly, especially in the morning. Also, sit or lie down at the first sign of dizziness or weakness. THIS MEDICINE MAY CAUSE increased sensitivity to the sun. Avoid exposure to the sun, sunlamps, or tanning booths until you know how you react to this medicine. Use a sunscreen or protective clothing if you must be outside for a prolonged period. DO NOT BECOME OVERHEATED in hot weather or during exercise or other activities since heatstroke may occur. BEFORE YOU BEGIN TAKING ANY NEW MEDICINE, either prescription or over-the-counter, check with your doctor or pharmacist. CAUTION IS ADVISED WHEN USING THIS MEDICINE IN THE ELDERLY since they may be more sensitive to the effects of this medicine. CAUTION IS ADVISED WHEN USING THIS MEDICINE IN CHILDREN OR ADOLESCENT PATIENTS because they may be more sensitive to the effects of the medicine. FOR WOMEN: THIS MEDICINE HAS BEEN SHOWN TO CAUSE HARM to the human fetus. IF YOU PLAN ON BECOMING PREGNANT, discuss with your doctor the benefits and risks of using this medicine during pregnancy. THIS MEDICINE IS EXCRETED IN BREAST MILK. IF YOU ARE OR WILL BE BREAST-FEEDING while you are using this medicine, check with your doctor or pharmacist to discuss the risks to your baby. Side Effects of Pamelor: SIDE EFFECTS that may occur while taking this medicine include dry mouth, drowsiness, dizziness, headache, nausea, weakness, diarrhea, excess sweating, heartburn, unpleasant taste, weight gain, or an increased appetite especially for sweets. If they continue or are bothersome, check with your doctor. CHECK WITH YOUR DOCTOR AS SOON AS POSSIBLE if you experience constipation; blurred vision or other vision changes; eye pain; fast, slow, or irregular heartbeat; hair loss; shakiness; fainting; twitching of the face or tongue; mood swings; loss of balance; uncontrolled movements of arms and legs or stiffness; difficulty speaking and swallowing; unusual bleeding or bruising; sore throat or fever; skin rash and itching; swelling of hands, face, lips, eyes, throat, or tongue; irritability; ringing in the ears; seizures; yellowing of the skin or eyes; hallucinations; or chest pain. CONTACT YOUR DOCTOR IMMEDIATELY if you experience severe nervousness or anxiety, agitation, panic attacks, difficulty sleeping, feelings of irritability or hostility, impulsive behavior or other unusual changes in behavior, severe restlessness, worsening feelings of depression, thoughts of hurting yourself, or any other mental or mood changes. AN ALLERGIC REACTION to this medicine is unlikely, but seek immediate medical attention if it occurs. Symptoms of an allergic reaction include rash, itching, swelling, severe dizziness, or trouble breathing. If you notice other effects not listed above, contact your doctor, nurse, or pharmacist. Overdose of Pamelor: If overdose is suspected, contact your local poison control center or emergency room immediately. Symptoms of overdose may include flushing, fast or irregular heartbeat, dry mouth, drowsiness, confusion, agitation, enlarged pupils, seizures, and loss of consciousness. Other Information of Pamelor: If your symptoms do not improve after taking this medicine for 4 weeks, inform your doctor. DO NOT SHARE THIS MEDICINE with others for whom it was not prescribed. DO NOT USE THIS MEDICINE for other health conditions. KEEP THIS MEDICINE out of the reach of children. IF USING THIS MEDICINE FOR AN EXTENDED PERIOD OF TIME, obtain refills before your supply runs out.